Another one of the diesel designs to come out of the first-generation era was the transfer locomotive. While it never proved as popular or successful as the cab unit, road-switcher, or switcher a version of it was offered by every major manufacturer at the time except Fairbanks Morse. The transfer design was a type of switcher that was meant to operate at slow speeds and provide high-horsepower for moving cuts of freight cars between nearby terminals/yards. Of all the builders Electro-Motive seemed to have the most success with its TR line (Transfer), the classic cow-calf. However, even EMD could only convince a few railroads to purchase a handful of them as most realized that switchers and light road-switchers could handle the job just as well. Today, despite only a few of these locomotives ever built some still survive, and a few are even operational. For more reading about the different transfer designs built by the manufacturers please click here. The concept of what became the transfer locomotive was a collaboration of three companies; Electro-Motive Corporation (EMC), Illinois Central, and the St. Louis Car Company. During the 1930s, before EMC released its FT model for road service in 1939, diesels were primarily restricted to small designs intended for light duty and yard work. At the time, IC was looking for something a bit larger and more powerful that could be used to shuffle cars between Chicago and its Markham Yard. In 1936 EMC came up with a center-cab, B-B+B-B wheel arrangement that used a pair of 900 horsepower, Winton V-12 201-A prime movers with the St. Louis Car Company designing the carbody. Electro-Motive described the locomotive as its T-Model, which stood for transfer. The IC did not purchase any other examples of the switcher but it was pleased with its one unit. With the general success of the locomotive Electro-Motive felt that a new line of transfer models was warranted when it introduced its highly reliable model 567 prime mover on the FT and its revamped switcher line. In 1940 the builder released its TR (that also referred to Transfer), based from the popular NW2 switcher. It was based from a standard NW2 which sported a cabless mate, offering 2,000 horsepower combined, twice that of a standard EMD switcher. This was also the first of what became known as the "cow-calf," a term describing cab and cabless switchers. Once again Illinois Central was the first buyer of the TR acquiring three sets, 9203A–9205A/9203B-9205B. Through 1950 EMD cataloged six more types of cow-calf transfer locomotives, the TR1 through TR6. The manufacturer struggled to find much interest even with its reliable models, selling only a few dozen or so of each. Still, other builders were not deterred and followed in EMD's footsteps. During 1946 Baldwin released what likely is the most famous of all transfer locomotives, the DT-6-6-2000 (Diesel Transfer, 6 axles, 6 traction motors, 2000 horsepower). The design did not sell very well (just 46 units through 1950) but is well-remembered for its size and girth. It was released in 1946 and was fifteen feet longer than EMD's first GP7 road-switcher (cataloged a few years later) at 70 feet, 6 inches! The center-cab locomotive was the first ever, single-unit transfer locomotive offering 2,000 horsepower through a pair of 608NA prime movers. Aside from mechanical issues that all early Baldwin's suffered from the DT-6-6-2000 also had a major design flaw; it was meant to perform switching work but the frame was so long that it often could not negotiate the tight trackage found in such settings. Interestingly, despite the problems of the DT-6-6-2000 and disinterest in transfer models in general, Baldwin released another design in 1951 the RT624. It was even longer at 74 feet and offered 2,400 horsepower through a pair of 606SC power plants. Once again, sales were very poor with just 24 units sold to two lines, the Pennsylvania and Minneapolis, Northfield & Southern. By then it was the mid-1950s and most apparent interest in the transfer locomotive had run its course. However, surprisingly, Baldwin's models were not the last offered by a manufacturer. In 1958 Alco finally jumped into the fray with its T6 model. 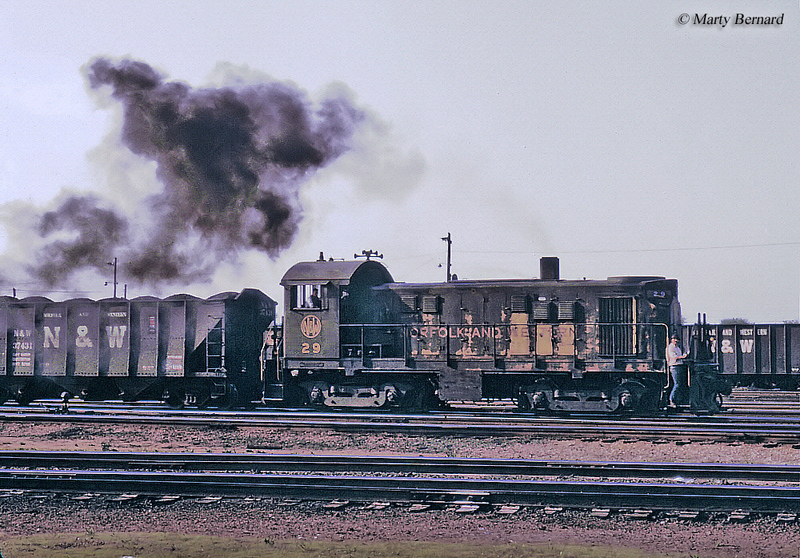 This locomotive was based from its popular line of S series switchers. While Alco's version was designated for transfer work it curiously differed little internally or externally from any other switcher the builder had cataloged, except for its notched front number boards. The T6 featured 1,000 horsepower using Alco's 251B prime mover with tractive effort ratings of 60,000 pounds starting and 46,000 pounds continuous. Amazingly, the switcher was one of the best selling transfer models ever cataloged with 57 units sold through 1969 to eight different domestic customers. The Norfolk & Western acquired the most during 1959, 38 examples. 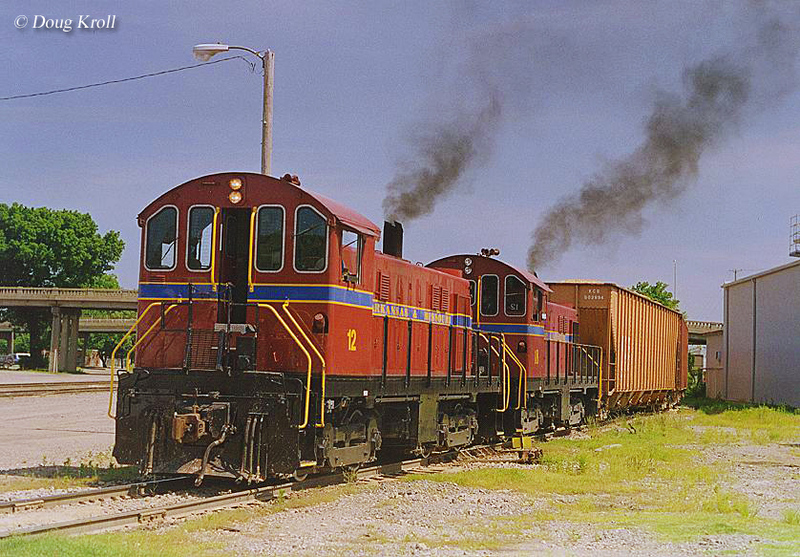 Today, there are a handful of transfer units preserved; MN&S DT-6-6-2000 #21 at the Illinois Railway Museum as well as several T6s, some of which are still in operation on short line Arkansas & Missouri. If you enjoy studying the history of diesel locomotives and American railroads in general you might like North American Locomotives: A Railroad-by-Railroad Photohistory by noted author Brian Solomon. The large, coffee-table book is mostly meant for the enjoyment of the historic photographs presented within it. However, through the captions and brief overviews of each railroad also offers a good deal of information as well. Having this Solomon title in my collection, most noteworthy is the rich photography it features, which is incredibly sharp and rich. 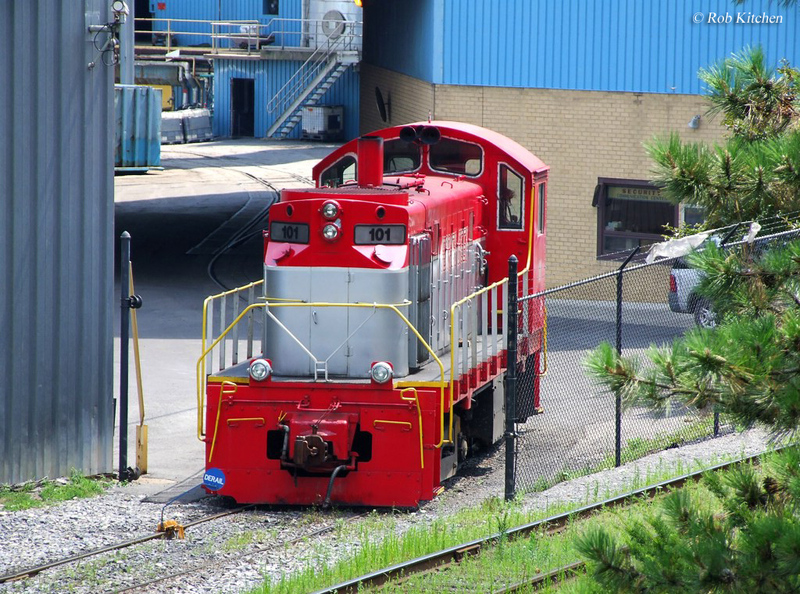 To read more about transfer switchers from various builders please visit the Diesel Locomotives section of the site, which can be reached from the top of this page.